Lucy is a pit mix that came to us from St Laundry’s Parish in Louisiana has a companion for a more feral pup. She was paired with her friend to help bring her out of her shell and now her job is done and she's ready to move on to her next step in life. Lucy is completely potty trained and crate trained. She knows some commands as sit, stop, NO, come, kennel.. she does get along with some dogs after a slow meet.. she just loves to be around people. She loves long walks and car rides. 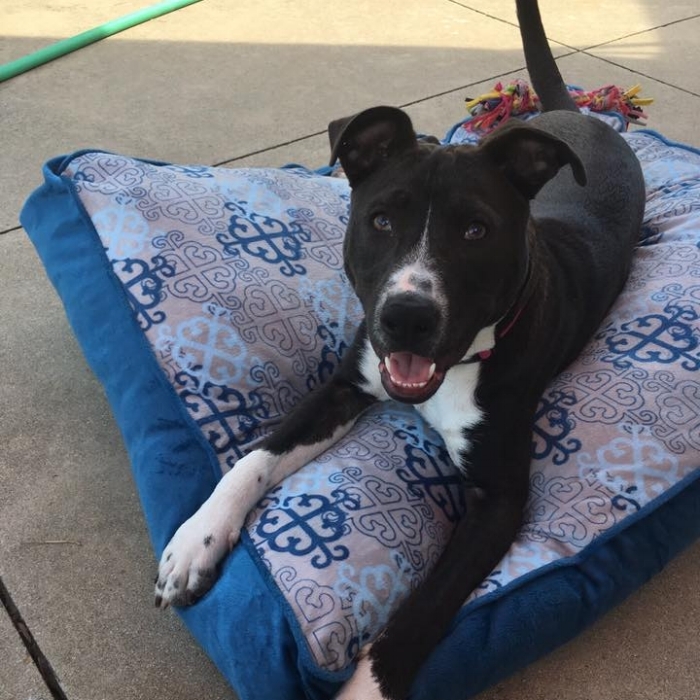 She’s approximately 8 months old and 40 lbs now, and ready for her furever home!